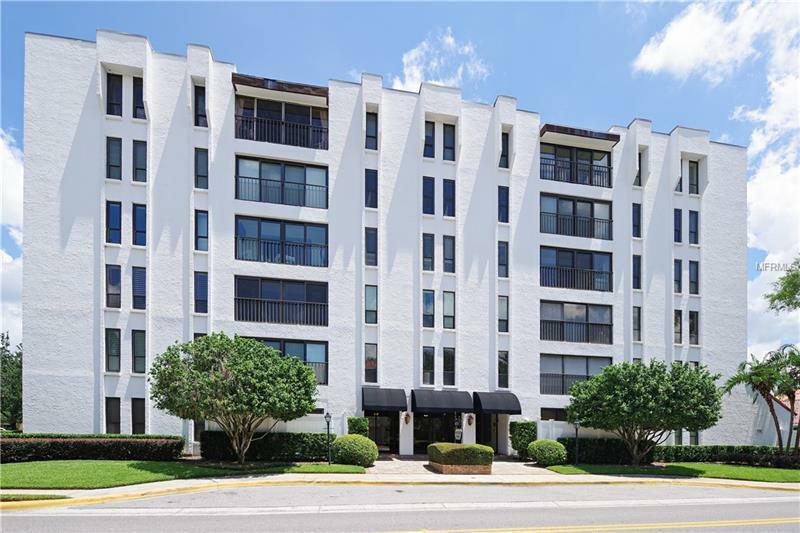 This charming third floor condo in the highly desirable Villages of Winterset Condominium offers an amazing view of downtown Winter Park! Walk out your door and enjoy Park Avenue's fabulous shopping & restaurants or stroll to the Morse Museum, Rollins College, the Farmersâ Market, Winter Park Golf course or Sun Railâs commuter train. You will love walking to Central Parkâs art festivals, concerts, movies and events. Winterset is a key secured building with a call box for visitors. The lobby offers a lounge area to relax or to greet your guests. This meticulously maintained community has a large private pool, sun deck and grilling area for your enjoyment. This wonderful corner unit is light & bright with beautiful hardwood floors and crown molding throughout. The kitchen overlooks the dining room while the family room is spacious with a double French door entry to the sunroom. The large master suite with beautiful natural lighting has a walk-in closet and plenty of room for a sitting area or desk. The 2nd bedroom is also spacious with a large closet. The guest bath has built-in cabinetry and a tub/shower combo. There is no shortage of storage here with a private 5.5 x 8 storage room just outside your door & a community storage shed for bikes. This condo is handicap accessible. Enjoy the carefree lifestyle you desire in this exclusive Winter Park location surrounded by multi-million dollar condos & homes. No Rentals and No Pets Permitted.